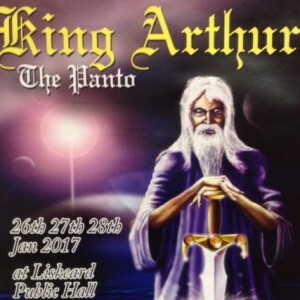 This year’s ever popular Liskeard Lions pantomime at the Public Hall will be King Arthur the Panto. Doors open at 6.30 pm and the performance starts at 7.30 pm. To arrange transport for individuals or groups please telephone Lion Mike Higman on 01579 320417. Those individuals designated as requiring transport will have their seats allocated. 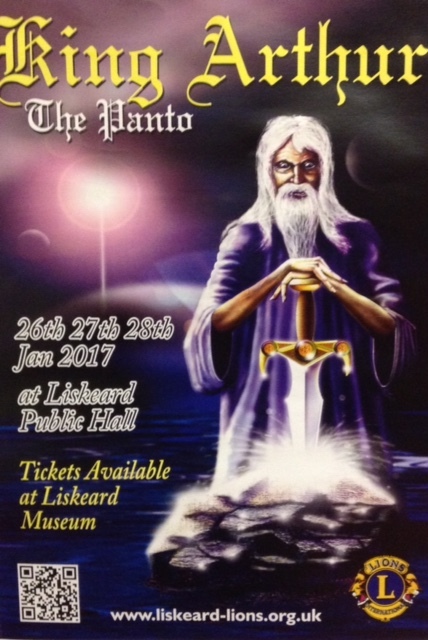 All others will please register and collect tickets at Liskeard Museum. Tickets for Saturday are at a cost of £7 for adults & £5 for children for the general public. A bar is available on the Saturday. All tickets are available at Liskeard Information Centre (in the same building as the Museum) – 01579 349148. If any spare tickets are available for the public for the Thursday and Friday they can be purchased on the last week before the pantomime.